"We Create a truly memorable dining experience"
Tellicafe is open 7 days a week serving Lunch and Dinner. Special parking for motorcycles. Easy in and out. At the entrance of the Cherohala Skyway, we are in an excellent location. We take pride in our food, providing a truly memorable dining experience. 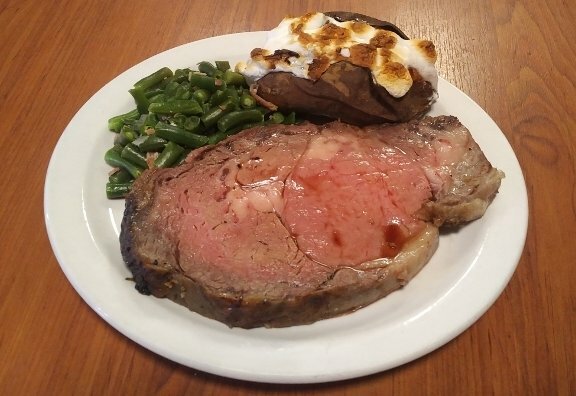 Generous portion of slow roasted prime rib. Served with your choice of two sides. *Served every weekend &dash; Fri, Sat, & Sun. 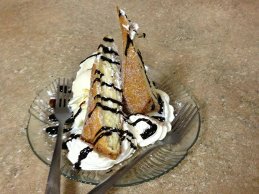 Cheesecake rolled in a puff pastry, deep fried, dusted with cinnamon sugar, served with vanilla ice cream. 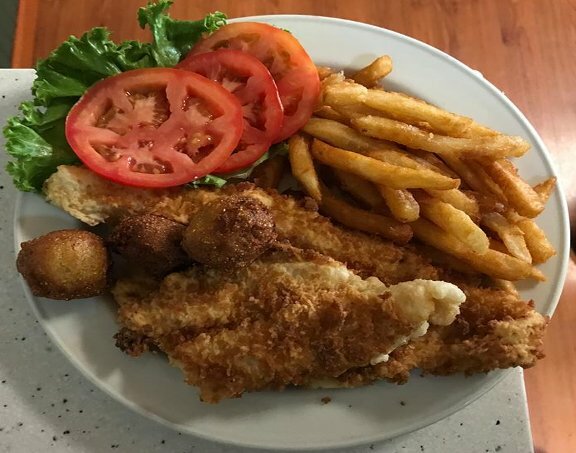 Southern fried Catfish lightly breaded, fried golden brown, served with fries and cole slaw. 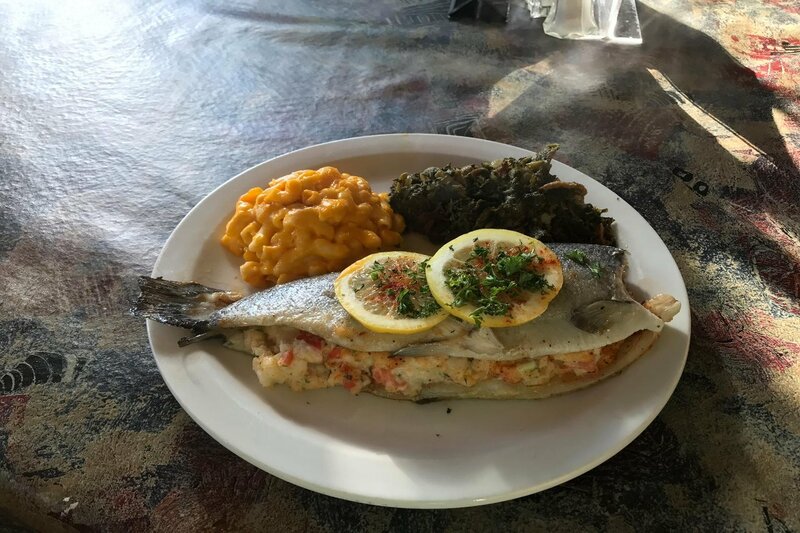 A whole trout stuffed w/ shrimp & crab meat stuffing then baked. Served with your choice of two sides. Had lunch here again today. As always the atmosphere, food and service was outstanding. We drive up from Cleveland,TN a couple times a month. Have never been disappointed. If you are in or near Tellico Plains you must stop in and enjoy the delicious food. Stopped here for lunch after 100 miles on the motorcycle. Had the pork stuffed baked potato and cheese potato soup. Both were great. Super friendly staff and the price is right. Highly recommend if you are in the area. They have motorcycle parking right up front. LOVE this restaurant! Best buffalo chicken sandwich you can eat! Homemade buffalo sauce made by the Chef himself! Rich (the owner) is ALWAYS around for comments, praise or even a complaint- which I’ve never had! ⭐️ ⭐️ ⭐️ ⭐️ ⭐️Five stars from me! Our All You Can Eat menu is available for lunch and dinner. All of the entrées come with a Free dessert and drink.